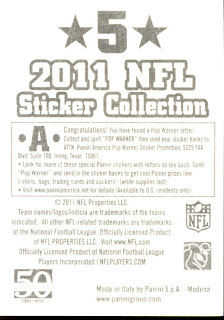 All About Sports Cards: 2011 Panini NFL Stickers For Week 12 And Pop Warner, Reasons To Be Thankful. 2011 Panini NFL Stickers For Week 12 And Pop Warner, Reasons To Be Thankful. We are in week 12 of filling in our 2011 Panini NFL Sticker Collection Album and the football season. Normally we pick players to watch for the week, but it is Thanksgiving, so keeping in mind reasons to be thankful, there are plenty of kids out there who are thankful for Pop Warner Football. Pop Warner Football is a non-profit organization that provides youth football participants in 43 U.S. states and several countries around the world. 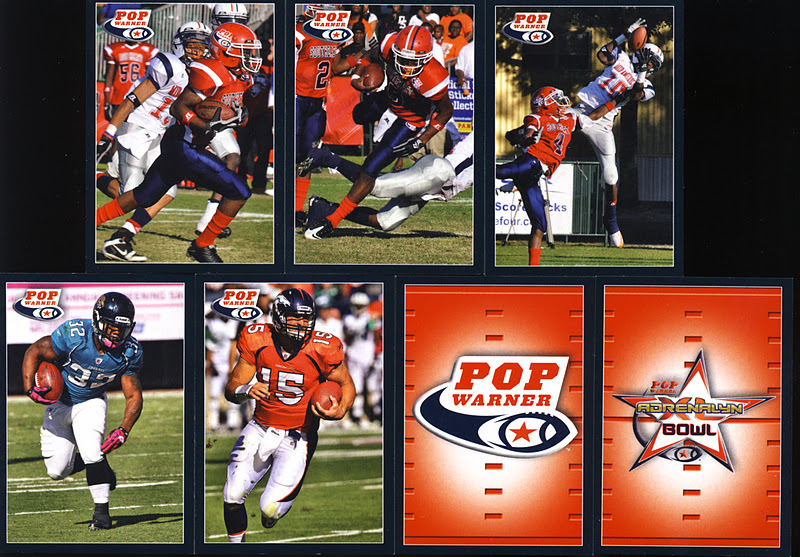 Pop Warner is the largest and oldest national youth football organization in the United States. It is also the only youth sports organization with an academic requirement. Pop Warner's commitment to academics is what separates the program from other youth sports around the world. It was started in 1929 by Joe Tomlin to keep idle kids in Philadelphia occupied and out of trouble. In 1933, Joe Tomlin met Glenn Scobey "Pop" Warner, a legend among active football coaches and then the coach for the Temple Owls, at a winter banquet and asked him to lecture at a spring clinic Tomlin was planning for his organization’s teams. On the evening of the banquet, it was pouring rain mixed with sleet. Of the dozen area college football coaches scheduled to speak at the clinic, only Pop Warner showed up. The 800 excited young football players kept Warner talking and answering questions for two hours. By the end of the evening, by popular acclaim, the youth program was renamed the Pop Warner Conference. In 1960, Walt Disney filmed a two-hour show, "Moochie of Pop Warner Football." It aired on ABC in 1960, and helped to spread Pop Warner Football to over 300 teams from coast to coast. Today, there are over 5,000 football teams, playing in eight different age/weight classifications with the annual Pop Warner Super Bowl, held each year at Walt Disney World. 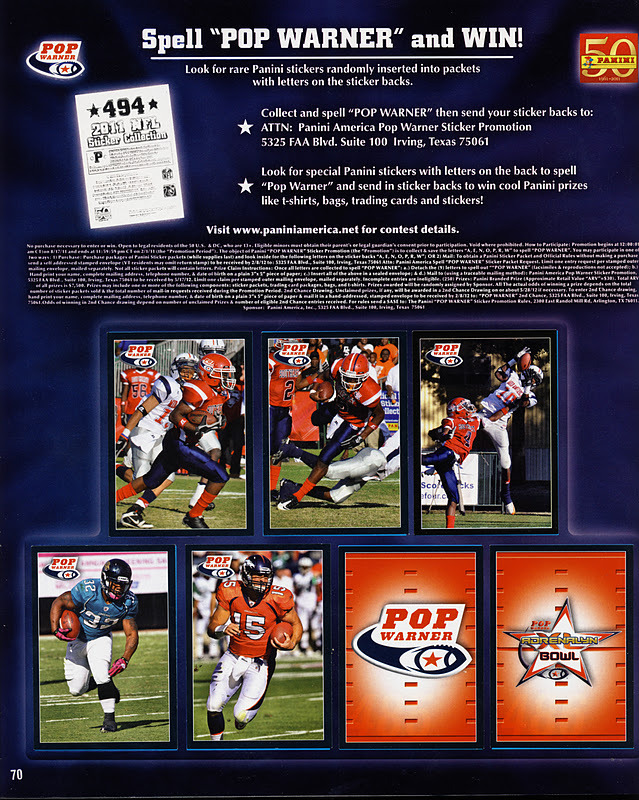 The Pop Warner Adrenalyn Bowl presented by Panini America is an exhibition of Pop Warner football teams featuring NFL Players serving as Pop Warner Coaches. 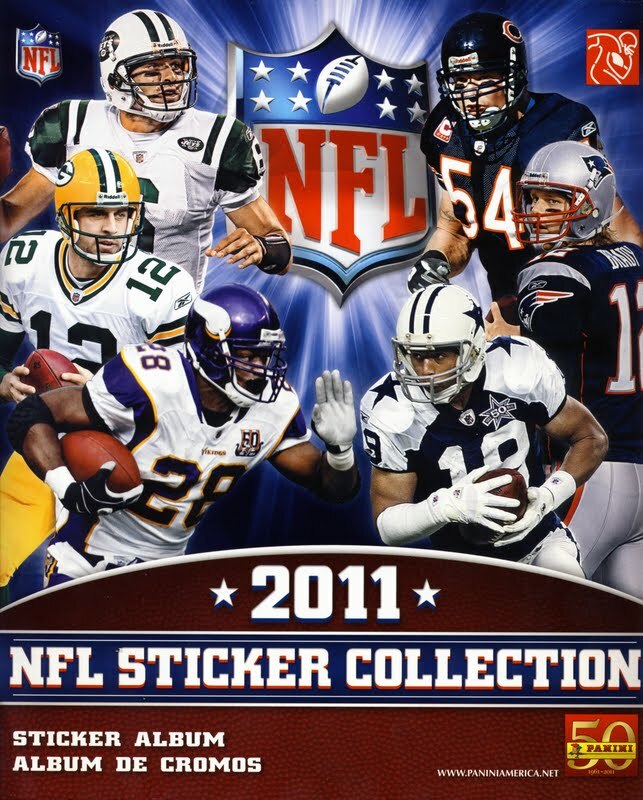 Two of the coaches for 2010 were Tim Tebow and DeAngelo Williams, who are featured on this week’s stickers. In addition to these stickers, there are a limited amount of stickers that have letters on the back, like this one with the letter "A." send them to Panini following the rules and you could win some great prizes. 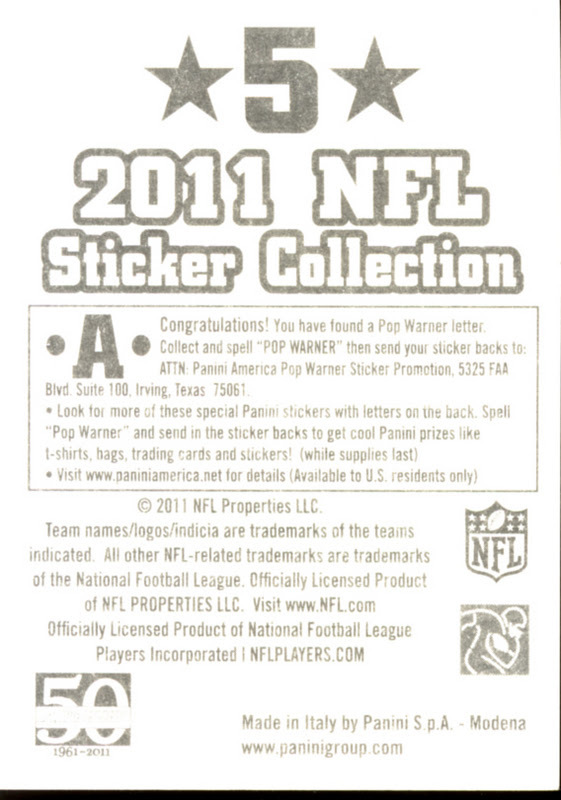 All the details and contest rules can be found on the Pop Warner page in the NFL Sticker Album. Be on the look out for more additions to our sticker album next week.